Just like any kind of property, park homes have their pros and cons — although many of these depend on your perspective. After all, deciding on a retirement property is a highly personal choice, and what some may suit one person might not work for others. Factors like your lifestyle, health, age, and financial circumstances will all play a part in your decision. Here, we’ve shared what many people consider to be the advantages and disadvantages of buying a park home, so you can weigh up the pros and cons and make an informed decision about what’s right for you. Over 250,000 residents live in park homes across the UK, and there’s a whole host of reasons why so many people have made this choice. In this section, we’ll run through the things that make living on a park home estate such an attractive option for so many people. Mobility can become a concern as we grow older, so finding a home that will suit your changing needs is a top priority when choosing a retirement property. Park homes are always single-storey structures, which means there’s no need to worry about stairs becoming a challenge in the future. Plus, lots of new park homes can be custom built to suit your requirements, so you can futureproof your home for complete peace of mind. So, if you would like specific features, like an accessible shower or washroom, you’ll be able to tailor your new home as you wish. If feeling safe and secure in your home is a top priority for you, then a park home estate can offer exactly that. Park homes are set on secure, gated estates, which are only accessible via a key card or fob. Guests will often need to sign a login book on arrival, and many sites have CCTV or even on-site security staff for extra peace of mind. There’s also a neighbourly sense of community on park home estates: everyone knows everyone, and people look out for each other. This community mindset is also great for retirees who love to socialise. Most park home estates have a minimum age requirement of 55, so you’ll be surrounded by other residents who are just like you. There’s often lots of community activities and social events to get involved with, too. Learn more about what it's like to live in a park home. As we approach retirement, many of us will begin to think about downsizingto a smaller, more manageable home. If maintaining and cleaning your family home is becoming a burden, and you no longer need as much space as you once did, then swapping your home for a park home could be the solution. 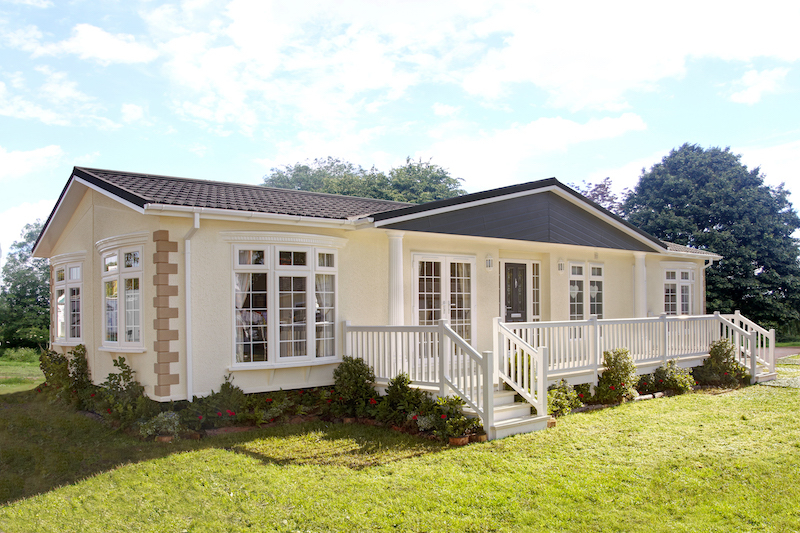 Park homes are much smaller than conventional houses, measuring less than 20 metres long and 6.8 metres wide, so they’re the ideal size for a single person or couple. This way, you’ll remain independent, but it will be much easier to stay on top of cleaning and maintenance. One of the most appealing aspects of moving to a park home is the low cost of living. If one of your reasons for downsizing is to reduce your monthly outgoings, then you’ll be pleased to hear that park home running costsare usually lower than for a traditional residential property. Owing to their affordable purchase prices, park homes are almost always in the cheapest A-rated council tax band. Utilities are typically cheaper, too. Modern park homes are built in accordance with BS 3632:2015, which states that they should be "insulated to a standard that will mean they are comfortable for use all year round". This means that newer park homes are often energy efficient, and so shouldn’t cost too much to heat. Utilities such as gas and electric are bought directly from the site owner, but legally they’re only allowed to charge the market rate for these, which is set according to theOffice of the Gas and Electricity Market. Your water supply is also managed by the site owner, but they can only charge the going market rate, plus a small admin fee to cover any extra costs incurred. Park homes are technically mobile homes, which means you have the option to move them to another site if you decide you want to move location. The site owner may specify a fixed period during which you must keep your park home on site in your written agreement, but once this is up, you’ll have the freedom to move your park home wherever you like. So, if you want to relocate for any reason in the future — to be closer to family, for instance — then you can take your home with you. There are over 2,000 sites in the UK, hundreds of which are registered with GoldShield, so you’ll have a huge range of choice when it comes to finding a location you like. Park homes are generally significantly cheaper than traditional homes or bungalows of an equivalent size, with prices starting from around £40,000 for a second-hand park home, and newer models starting at around £70,000. This means they’re a very good choice if you want to free up equity in your current home, leaving you with more money to spend enjoying your retirement. Their affordability also makes them a great option if you’ve got your heart set on a beautiful location where a traditional property would otherwise be out of budget — like the Cotswolds or the Lake District, for instance. And, despite their relatively affordable price, new-build park homes are often very luxurious, with all the mod-cons you’d expect in a high-end property. You’ll work with the developer to design a home that suits your tastes, allowing you to choose everything from the carpets to the furnishings. So, unlike a conventional home, there’s no need to spend extra money on redecorating after you move in. Learn more about buying a park home. If you buy a park home in a site that’s registered under a GoldShield warranty scheme, then you’ll also be covered financially should any inherent defects cause problems after you move in. You can find out more about the scheme — including what the schemes covers — take a look at guide to understanding your GoldShield warranty. While park homes can be a great option if you’re looking for a peaceful retirement property on a secluded estate, there are a number of things you should be aware of before you decide to commit. Park homes are very different to traditional residential housing, and that means that they might not suit everyone. Here, we’ve listed a few of the potential disadvantages of buying a park home, so you can work out whether it will be compatible with your lifestyle. If you own a traditional freehold or leasehold property, then you’ve probably benefitted from steadily rising houses prices over the past few years. But, owing to the differences between park homes and ordinary houses, you shouldn’t expect to see a similar rise in value with a mobile home, as these tend to depreciate in valueover time. Park homes are affordably priced, which makes them great options for retired people on a budget. But, while a newly built park home could last as long as 70–80 years if maintained properly, they aren’t designed to have the same longevity as a conventional home. Because of this, they tend to lose value as the years go by. However, because most park home residents are only looking for a property that will last 25–30 years, this isn’t usually an issue. This also makes them a better choice for those who want to free up equity to fund their retirement, rather than locking it away in property. Park homes are neither leasehold or freehold properties, and the land on which they stand belongs to the site owner, not the residents. This means that you can’t get a mortgage on a park home, because lenders won’t allow you to secure a loan on a property with no formal legal title at the land registry. As such, park homes are a better option if you have enough equity to buy outright, or have savings set aside to help cover the cost. If you need more financial assistance to help fund the purchase, then take a look at our guide to financing a park home to learn more about other ways to buy. Park homes are smaller than the average family home, but it still takes a fair amount of maintenance to keep them in good condition. Often, exactly what you need to do will be specified in your site agreement with the park owner. If your park home is registered under a warranty scheme, then you will also need to carry out maintenance to keep it valid. Typical repairs will include repainting the external walls, keeping the roof in good condition, cleaning the gutters and air vents, and re-sealing the windows and doors. If all the work required sounds beyond your capabilities, or if you’d just rather spend your retirement relaxing and enjoying yourself, then you can always get someone else to take care of the hard work. Our maintenance and repair schemes will handle the repairs and upkeep on your park home, so you don’t have to. Plus, you’ll pay a fixed rate each month, so it’s easy to budget for. Find out whether a GoldShield care scheme is right for you. Should you decide to sell your park home in the future, you’ll need to pay commission to the site owner. This is charged at 10% of the overall sale price, and when the sale is completed, the buyer will keep back the commission and pass it on to the site owner. Of course, if your park home is intended to be your final retirement home, then this shouldn’t be an issue. But, if you think your plans may change, then you should bear this cost mind. For many retired people, or those who are approaching the end of their working life, the idea of moving to a secure, peaceful estate in the countryside is a dream come true. 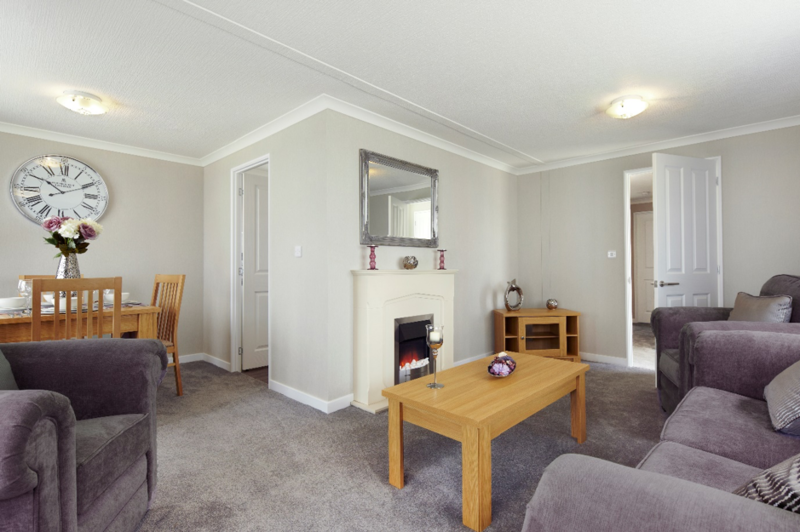 But, mobile homes are quite different to conventional houses, so you should be certain that you have a good understanding of all the pros and cons of park home living before you take the plunge. As long as you consider the points we’ve listed here, and spend plenty of time researching and visiting sites you like the sound of, you should be able to make the best choice for your lifestyle.